That is a nice one for sure. Especially if it stays around that price. as the necks were only swopped over last week, it takes a little time to make the changes on the website..
Villager, I am sorry, but a neck swap has little to do with an error on your descriptions. Especially, when you pretend as a first step that it's 'all original'. You will say that this matter is not my concern, but you're still asking 200? more than for your other DS185, while it is heavily modified. Don't you think you'd probably better restore it to its original condition, as it seems to be original? This white one seems very nice too. you misunderstand.. the neck swop is nothing to do with the matter..
when the guitar was first listed, before the neck swop, i copied and pasted the description from the duncan ds-185, which included the phrase all original, when i realised this and saw that the knobs and pickguard were changed then I corrected the description, as it was a mistake, there was no ''pretence'' about it.. when i investigated further i saw the anomoly with the pickguard holes making me think it should have a rosewood neck, thats whan i then did the neck swop.. I try to make all the descriptions of all of my guitars as accurate and informative as possible.. but sometimes when i am in a hurry, i make an error, if i do i usually spot it pretty quickly and correct it.. I dont really think you have the right to accuse me of pretence, as that is the same as accusing me of deliberately misrepresenting things, which is not something I do.. IF any guitar I sell is incorrectly described in any way I offer a full refund, and i pay the shipping, that is my policy. NO other seller offers anything like this.. and I do because I have complete confidence in everything I sell and I personally guarantee every guitar I sell.. I have not decided as yet. thanks for the advice, but what I choose to do and how much I charge are my business and you are totally correct in that it is not your concern..
As I thought I would contact you on Thursday to request information on the two tone sunburst in the middle, I felt a little concerned. 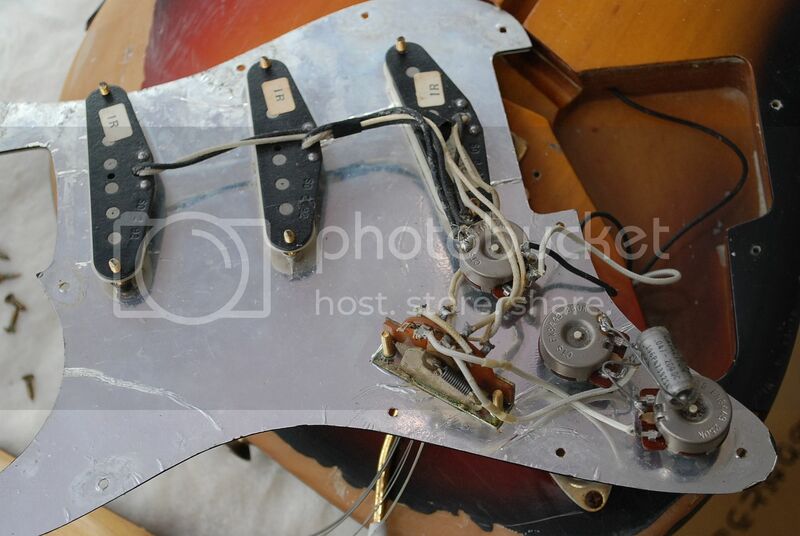 At that time the neck was swapped, and the description stated 'all original'. But you're right, it doesn't matter yet. And don't worry... my aim is not to interfer in your business. A friend has a maple neck he bought new in France in the 90's, and it has a stock tortoiseshell pickguard. Maybe you should ask an expert? it read all original for a very short time!!! 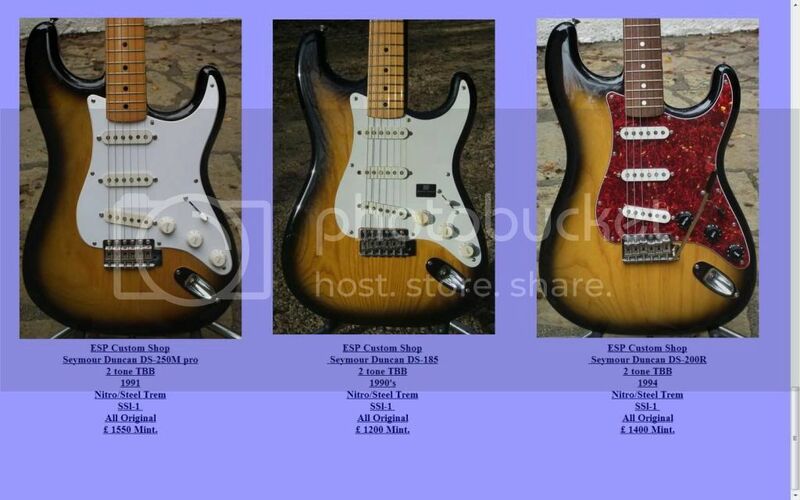 but you are correct, the description was incorrect at that time, for a day or so after the neck change..
if you had contacted me, which you did not, I would have explained to you exactly what the guitars were and that the necks were not original to each guitar. however I do think that they all have the correct necks for the specs now...I still need to recheck again, but i have no time at the moment..
heh maybe i will swop back the necks and the pickguards over!!! there are no experts unfortunately...unless you can find one for me..
the one in the middle is all original i think!! i would like to give you an info mr Jacaranda. the maxi model was the JV65. and the equipment and finish are totally different from a DS100 to highest models. I talked about a maple neck, megadrive. I have no idea of the model. Maybe you can help villager? Was the DS-200 model in the end available in 1991? What a stunning sunburst! as there is a stamp with the manufacturing date . i know there was DS185 in 91 as i had one that 's only i can say. 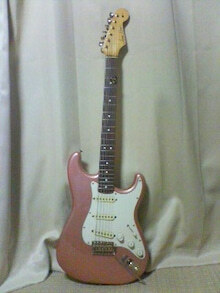 my DS185 was with an Ash Body and maple neck when this 200 is Alder body and rosewood neck and normally the price is the same. For me DS200 came later than the 185 but may be i am wrong. and i checked your link and it is very expansive for a DS200. for this price you can get a Navigator !!! Has anyone heard of this model before? And aren't those pickups the same as yours, soundcreation? yeah they do look like the same pickups. Mine don't have a stamp on them like those. At least I don't think they do. It's an interesting one. Here's my guess....it was a custom order back in the day for someone. 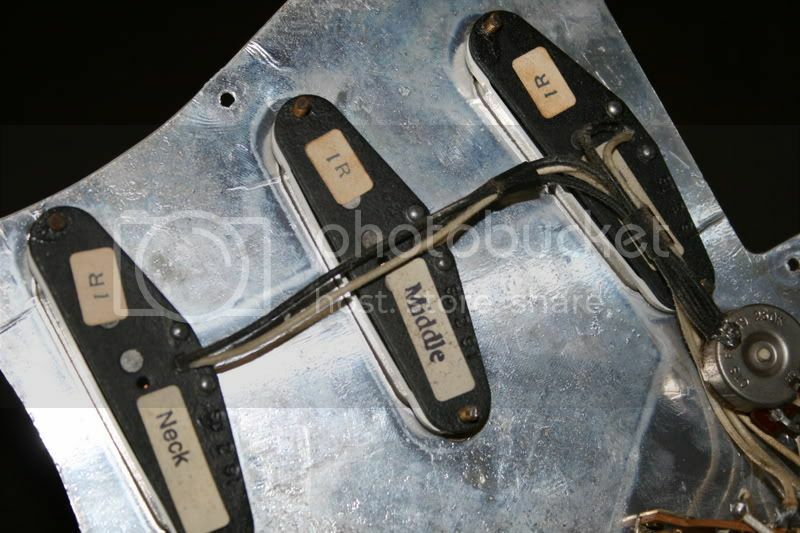 The neck "code" with the "ED79215C" matches the mark in the body, so that makes me think it would be original. I'm taking the "c" to mean custom order. And the 215 price would make sense back when the mid range model was 185. That's a 30000 yen surcharge for getting a model made to personal specs...sounds reasonable to me. Either that or the 215 was just the standard for the alder duncans and just not as common. It would be great to see a catalog from the first era. Who knows if the relicing is "original" or if some owner decided to get it done afterwards. If it is original...that's pretty interesting...as it would have been very forward thinking at the time right? The whole relic craze is a lot younger than that guitar isn't it? Hey, I didn't notice that code on the neck : 215c for... 215c. Do all your duncans have such a code? In the end, I did some research, and found a third 215c here. Another one with gold parts. 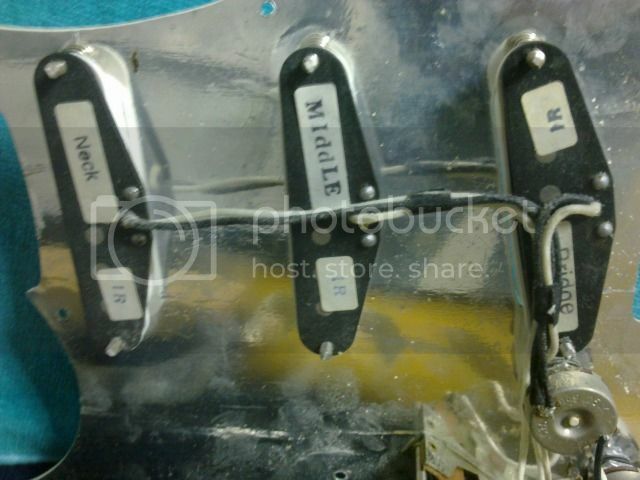 And same pickups again (from what I see, it seems that your bridge pickup has the same kind of stamp). It's listed as a 200. By the way, if 215 indicates the price range... May gold parts be considered as an option... and cause a little price increase, to take your point? Or from 185 to 200. Why do so few have interest in the Duncan line?